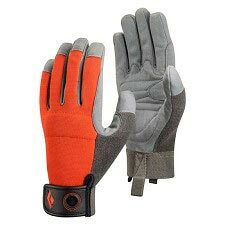 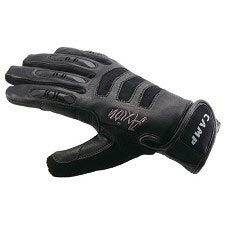 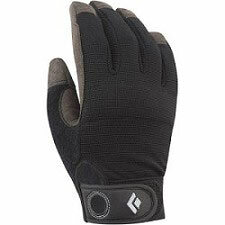 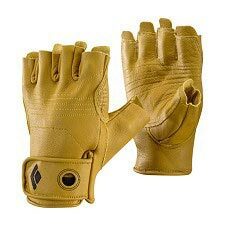 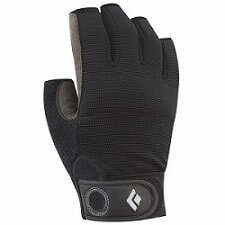 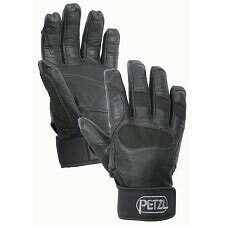 These lightweight belay/rappel gloves combine the durability of a work glove with the precise fit and dexterity of a fine driving glove. 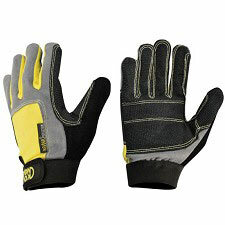 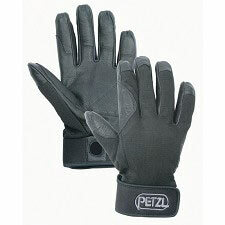 Double-layered leather protects the palm and other high-wear areas. 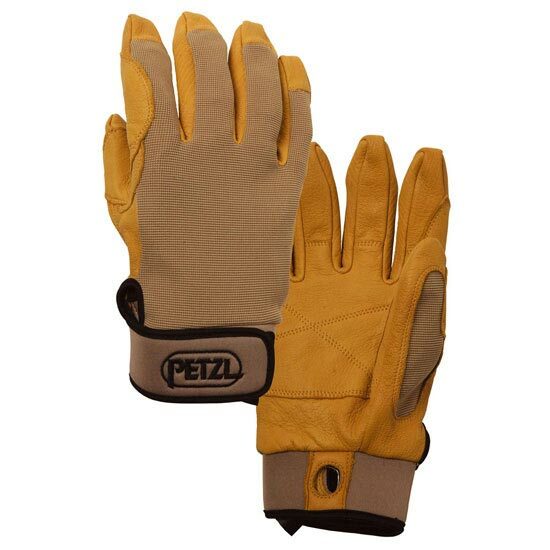 The back is made of abrasion resistant, breathable stretch nylon, ensuring comfort and fit. 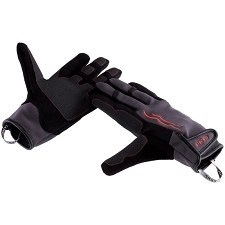 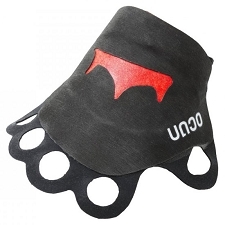 The low profile neoprene cuff with Velcro® closure features a reinforced carabiner hole for attaching the gloves to your harness. 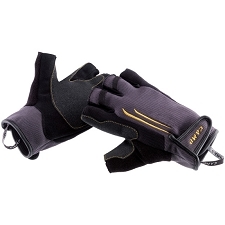 Ergonomic cut for high dexterity without being too tight.